This morning I had the ever enjoyable task of taking down all the Christmas decorations - what took the best part of two days to assemble was down and packed away in a mere half an hour or so and now the house looks so bare. Isn't that always the case? To make the task somewhat more enjoyable (who truly enjoys tidying?) I sparked up Milana's Sunny Afternoon Candle to fill the room with an uplifting and non-festive fragrance. 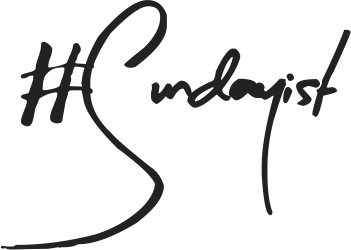 Milana candles have a rather cool ethos in that each candle is named after a song that has inspired the creator in one way or the other - the concept being that perfumery and music share a common vocabulary - notes, harmony, dissonance and accords. 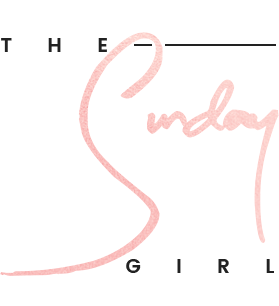 Each candle is individually hand poured in the UK and are made with 100% soy wax (toxic materials and genetically modified material) meaning they are all natural and have not been tested on animals in any way (safe for vegans) and are Kosher certified too. 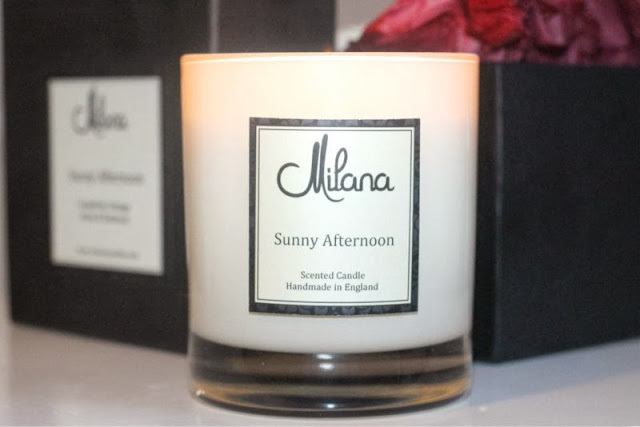 As mentioned I have been burning Milana's Sunny Afternoon scent which was inspired by a sun drenched afternoon in England - carefree and crisp, fruity yet fresh and uplifting thanks to the the top notes of grapefruit and Brazilian orange. This followed by green floral notes that are softened by a dry down of musk and patchouli. The grapefruit and orange notes prevail and dominate the scent making it very citrus based and great for burning when you need a quick pick me up any time of the year. I can't help but feel this would be the perfect candle to light in the warmer months while dinning outdoors - is anyone else currently longing for warmer weather? Bring a little sunshine indoors with Milana's Sunny Afternoon Candle it will make the long winter a lot more bearable, I promise. Find it here for £25 - link. Oh no! I really don't need any more enabling when it comes to candles! I am taking down all my decorations tomorrow, and doing a huge clean, everything will be sorted, paperwork, books, clothes and finally make up! I love to have fresh scented candles burning when I clean! sounds lovely! is it just available in the UK? Oh man, I just literally bought a massive Yankee Candle in vanilla frosting a couple of days ago - once it's used up i'll definately consider this - love the idea of the inspiration name checking on the candles! Candles are so amazing! I have waaaaaay too many right now! Those look amazing. I don't think their available in the US though. Shame. The UK get's the best things. ♥ this review!! Really amazing.. Perfect candles for this time of the year..